Mr. Charles K. Quick Sr., 75 of Clover, SC entered into eternal rest on June 8, 2018 at his residence. He was the son of David Quick and Levie McGuirt Quick. He is survived by two sons, Charles K. Quick Jr. of Concord, NC and Brian K. Quick of Chester, SC. ; and two step children, Debra Gibson of Jacksonville, FL and James Quate of Concord, NC; ten grandchildren; and sister Lillian Quick. He was preceded in death by his wife Brenda M. Quick, sisters Jean Sessoms and Ellen Radford, and brother David Quick. 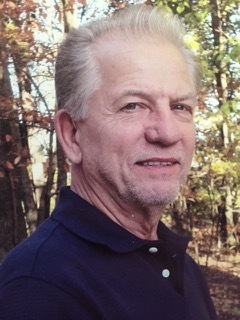 He was the owner of Quiknit Crafting Inc. of Gastonia, NC and lived and breathed the textile industry. He was a loving devoted father who lived for his children. He loved classic cars and enjoyed music and Karaoke. A graveside service will be held at Hillside Cemetery on Friday, June 15, 2018 at 2:00 p.m. Family can meet at McDougald Funeral Home at 1:30 to proceed to the cemetery.